Originally from Asia and Europe, the apple was brought over to North America by European colonizers and is now being grown throughout the country. There are thousands of varieties found all over the world, with colors ranging from red to green, and flavors varying from sweet to tart. The taste aside, apples are also well loved for their health benefits, the majority of which can be found in the skin and inner flesh. One medium apple contains four grams of fiber — fiber that is essential to the digestive process. Apples ensure smooth bowel movement and prevent stomach disorders such as constipation, indigestion, chronic enteritis, hemorrhoids, and even morning sickness. Apples, thus, assist in weight loss, since fiber also reduces appetite by making the body feel full faster and longer. 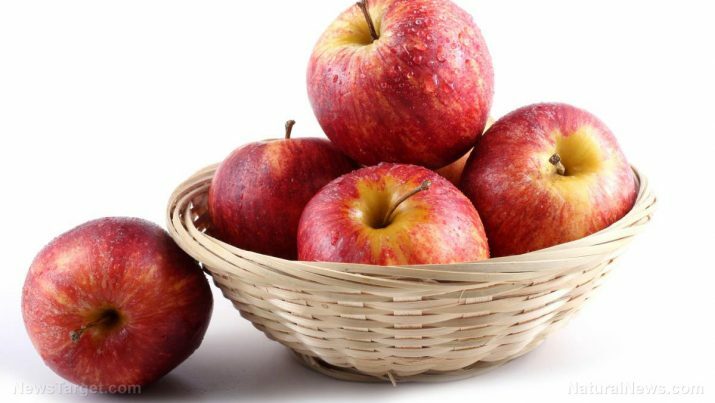 Quercetin, a flavonoid in apples, has an anti-inflammatory effect and helps regulate the immune system, and thereby making apples excellent for controlling asthma and allergic reactions. Aside from being regulated, the immune system is also supported by the quercetin and fiber. Apples can be used in almost any dish for any meal of the day. Cinnamon-stuffed French toast and oatmeal with apple slices make for nutritious breakfasts. Turkey and apple sandwiches are good for lunch or dinner, as are pork loin chops with cinnamon apples. For dessert, there is the classic apple pie and the less-common apple-cinnamon cake. The United States has over 2,500 kinds of apples. Regardless of personal preferences, there is an apple out there for all kinds of tastes. Moreover, getting the most out of apples will entail eating it as is, since many polyphenols and half of the fiber content in apples are found in the skin. Pectin, the fiber found in apples, is effective in supporting the digestive system and preventing conditions like gallstones and irritable bowel syndrome. Fiber can also reduce cholesterol buildup in arteries, leading to a healthier heart. Phytochemicals in apples protect against debilitating conditions by lowering the impact of free radicals across various parts of the body. These include macular degeneration in the eyes, Alzheimer’s and Parkinson’s Disease, and stroke. When applied topically, apples can also benefit the skin and teeth. Compounds in the flesh and skin counteract free radicals in the skin, while fiber in the apple cleanses the teeth and reduces the risk of cavities.